The Messenger New-U Mini U-Lock helps you lock more and carry less. With a 11mm hardened MAX-Performance steel shackle it provides a lighter weight while maintaining the security level of Evolution Minis. 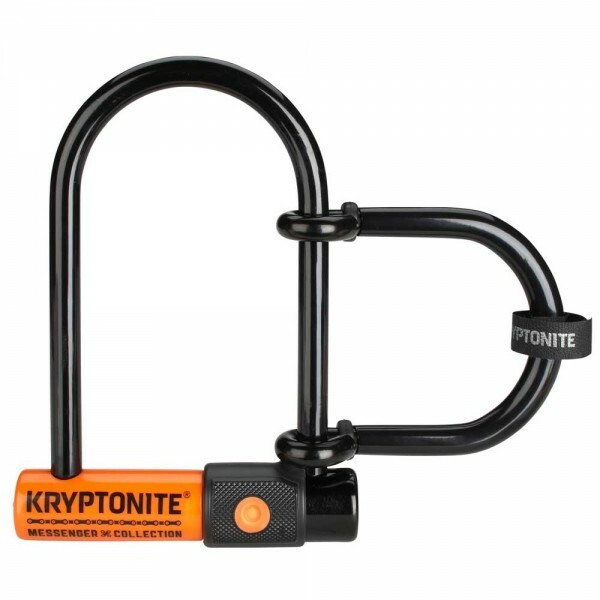 The increased shackle dimensions allows for a wider range of lock up scenarios. Reinforced cuff over crossbar and cylinder for additional security. High security disc-style cylinder is pick and drill resistant and now with New patent pending bentfoot double deadbolt design. New rotating dust cover with stopper plug. Wheel extender can secure either the front or back wheel while the Mini captures your frame and the immovable object. 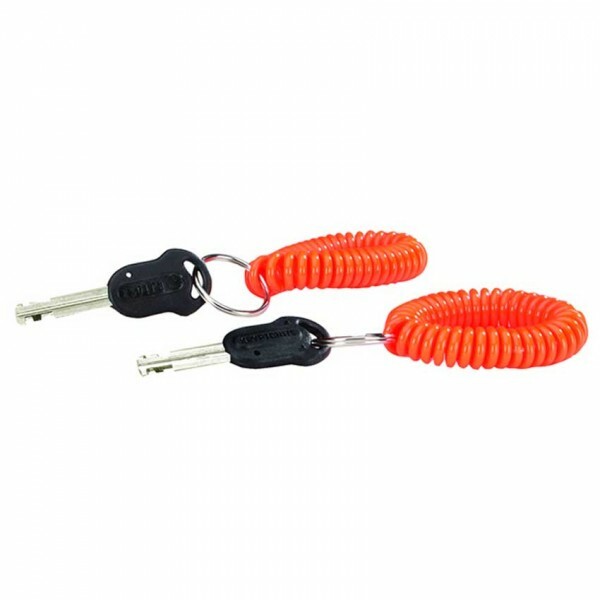 Keys are supplied with a coiled wrist key chains.